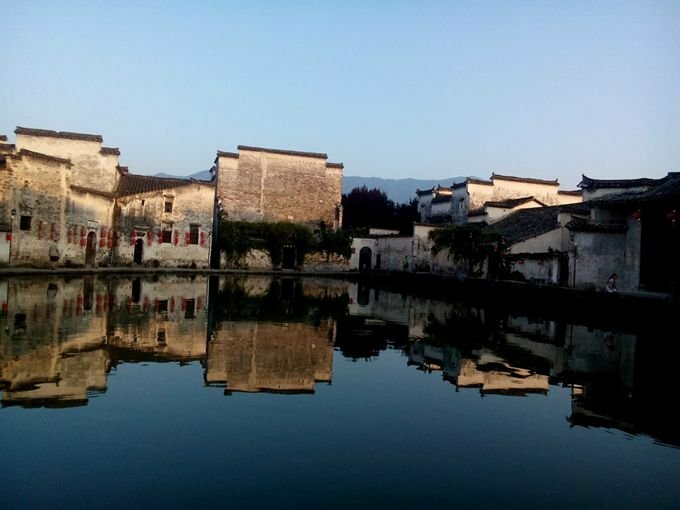 Hongcun Village is located in the northeast of Yi County, Anhui Province. It covers an area of 19.11 hectares. 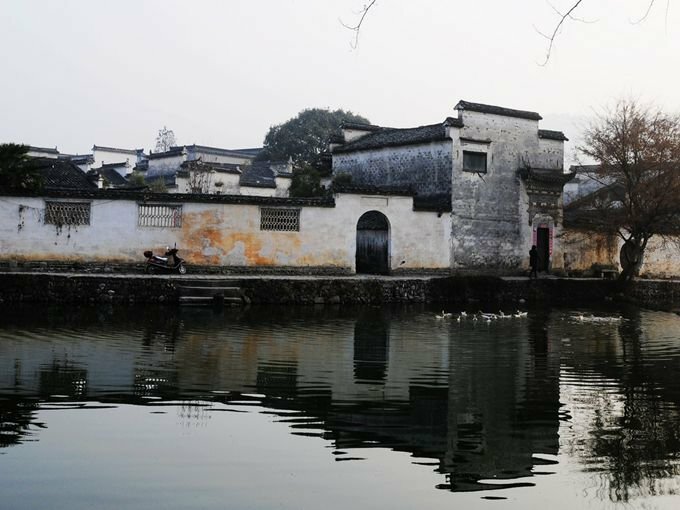 The village was built 800 years ago. It was built in the shape of an ox. 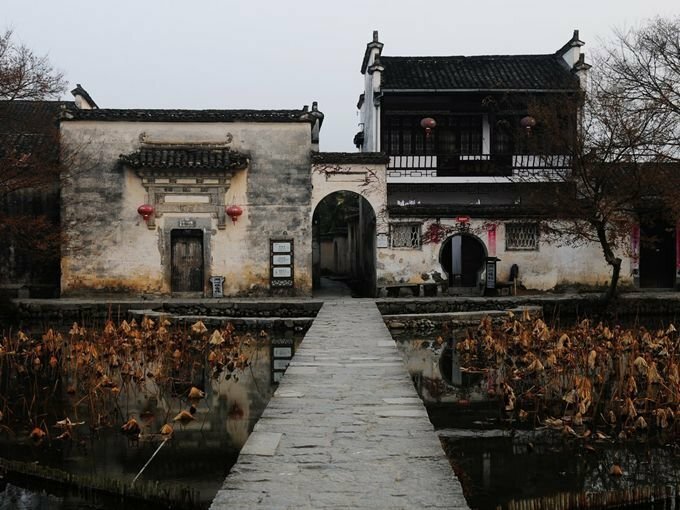 The residence of the village is the typical architectural style of Ancient Huizhou. 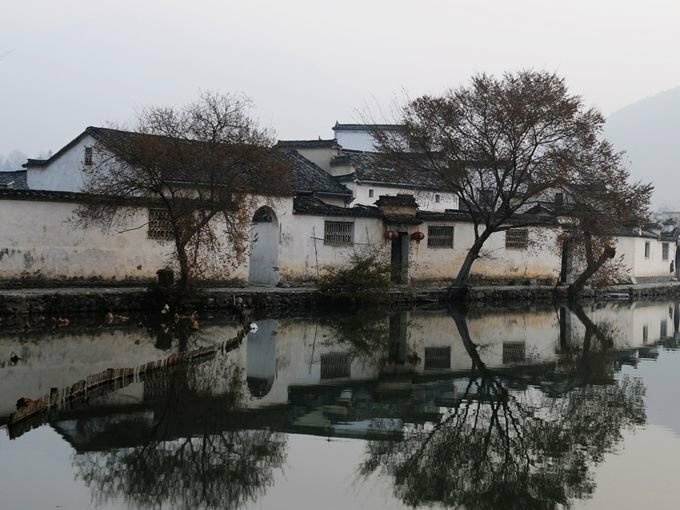 These local-style dwellings are in picturesque disorder. Each house is built with black tiles and white walls. The layout of the residence is symmetrical of axis. There are exquisite carving on the wooden windows, pillars, tables and stones. 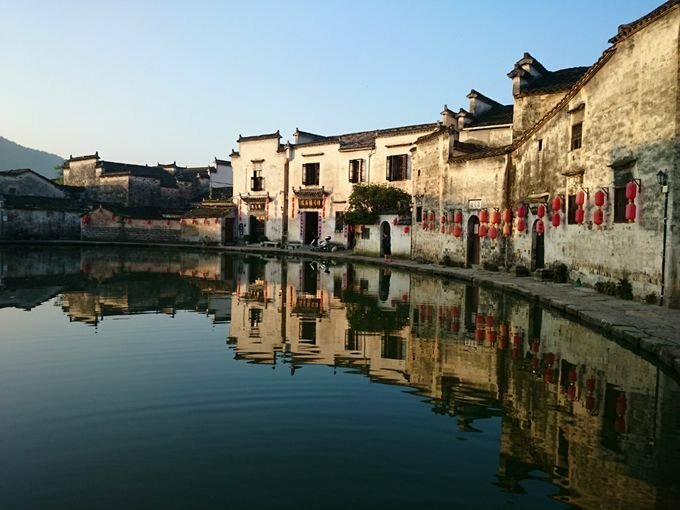 The water channel built in the village runs across every dwelling to fulfill the daily use of the local residents. It is also of great importance to prevent fire. 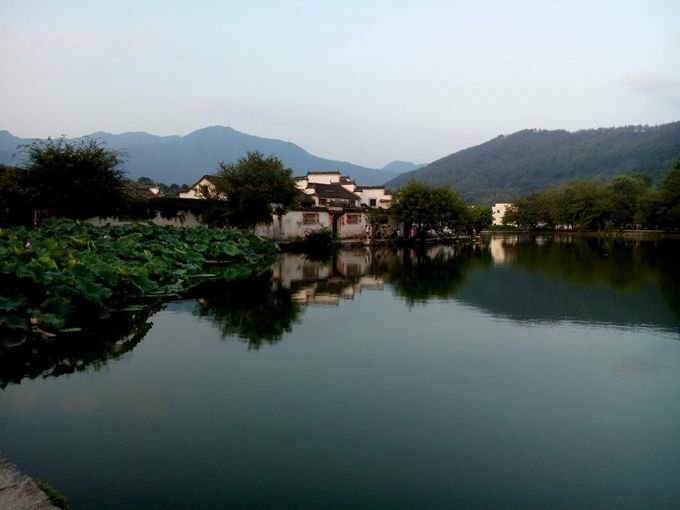 The Moon Lake in the center of the village reflects the black and white houses around the lakeside, forming a beautiful picture. 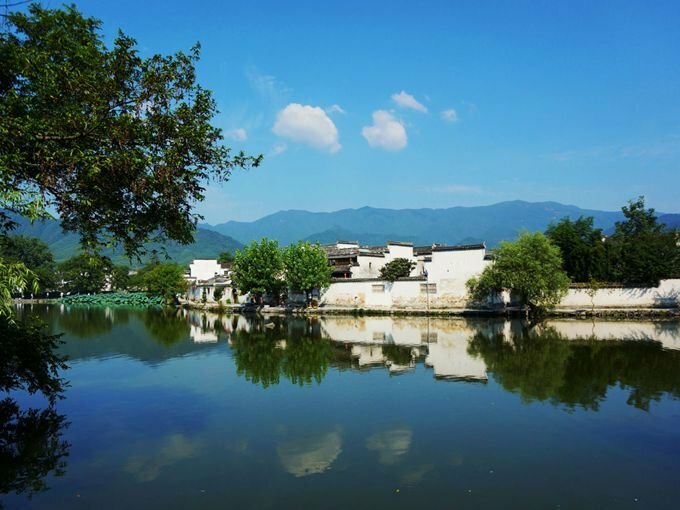 Buses are available from Huangshan Bus Station to Hongcun Village. 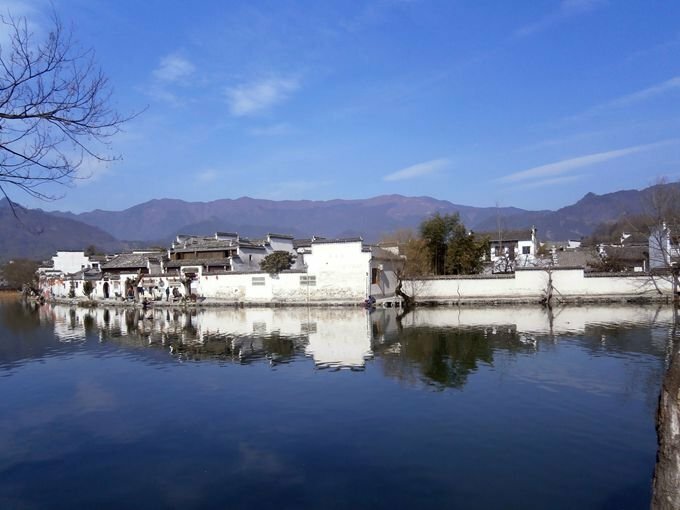 Buses are available from Tangkou to Hongcun Village. It’s best to book the ticket one day in advance.